Few things in this world can beat a hot and fresh-out-the oven muffin. Unfortunately, these tasty little devils can pack quite a calorie punch, and are often loaded with unhealthy fats and sugars. 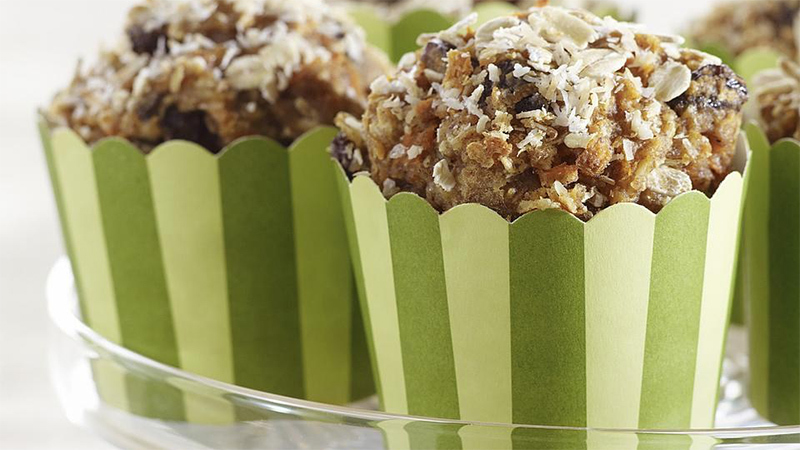 Thankfully, we’ve got the perfect solution to your muffin cravings. These eight healthier-for-you recipes are lighter than the usual fare, and make for a delicious breakfast or tasty treat on the go. 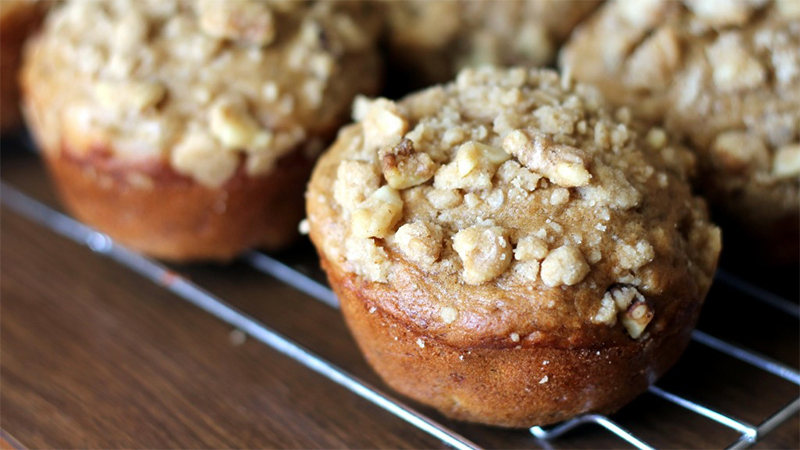 This muffin recipe discards white sugar as an added ingredient, using honey and bananas as sweeteners instead. The Greek yogurt in this recipe is an excellent source of potassium and calcium; plus, just one container of Greek yogurt contains 17 grams of protein, making the ingredient an effective post-workout muscle builder. Get the recipe. 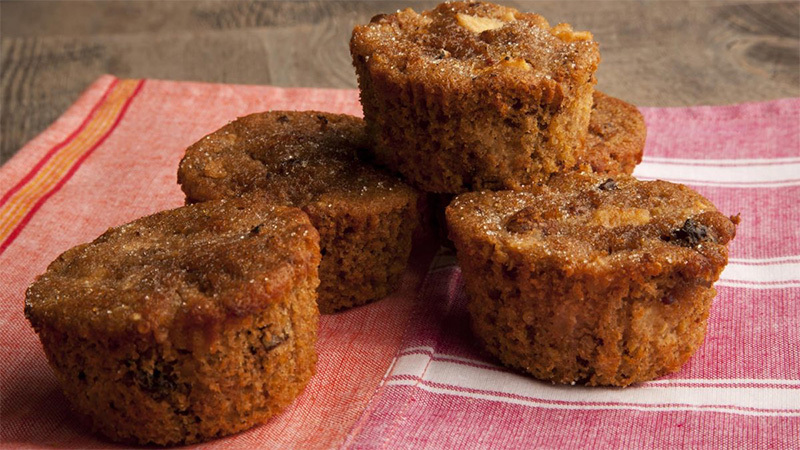 This muffin tastes just like carrot cake, without all those unwanted empty calories and unhealthy ingredients. 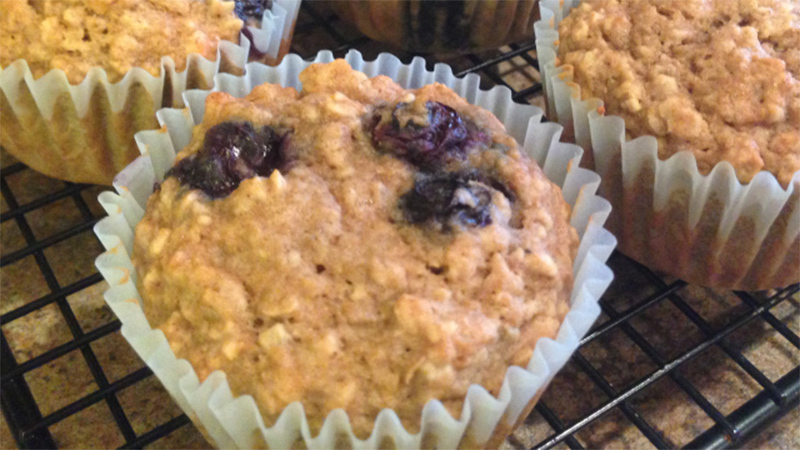 One muffin provides a hearty supply of carrots to take care of your recommend vitamin A requirements for the day. And don’t even get us started on the insoluble fibre you’ll consume by way of this recipe’s rolled oats, which aid in digestion and help keep you regular. Get the recipe. The bananas come through in this recipe to satisfy that sweet tooth, and the walnuts that serve as the crunchy, tasty toppings that come packed with omega-3 fatty acids, which have been linked to reducing depression and maintaining a healthy heart. Get the recipe. 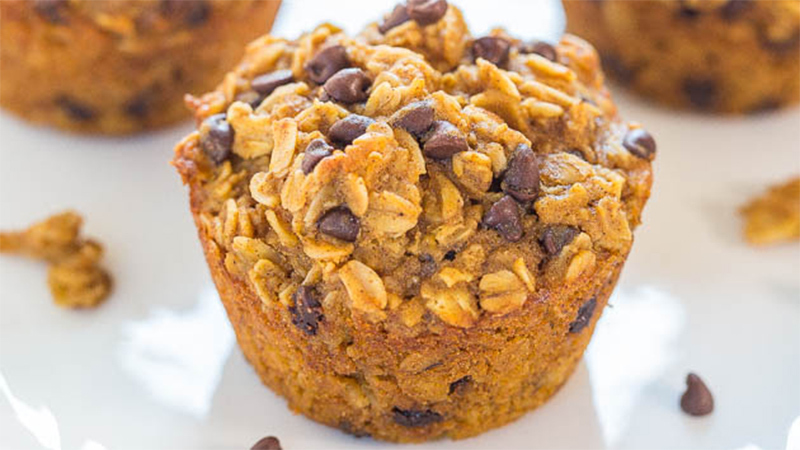 Oatmeal muffins are often too dry, and that’s why this recipe adds pumpkin spice to deliver a bit of moisture to the final product. This dish might taste like autumn — a bit like a warm pumpkin pie, perhaps — but it can be easily enjoyed any time of the year. Get the recipe. 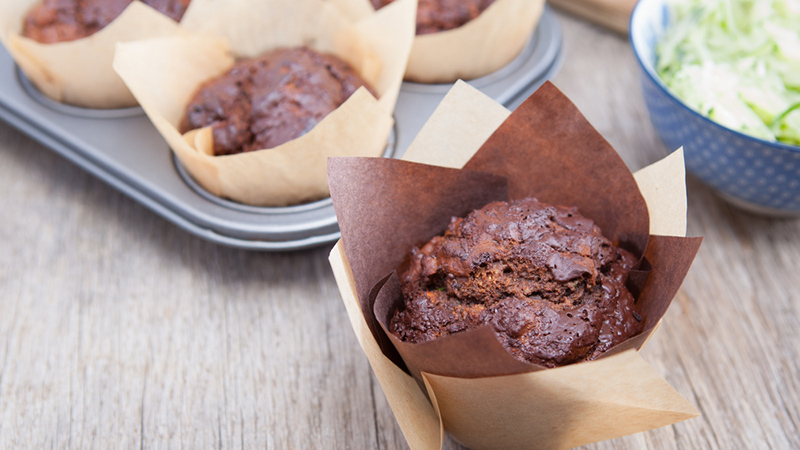 This muffin recipe’s rich in the famously healthy superfood blueberries, which have been linked to a number of health benefits, including boosting brain health and preventing Alzheimer’s and also aiding in digestion through their naturally high fibre content. Get the recipe. This healthy muffin’s recipe swaps flour for quinoa, which in turn boosts the fibre and protein count of each muffin while cutting carbs. 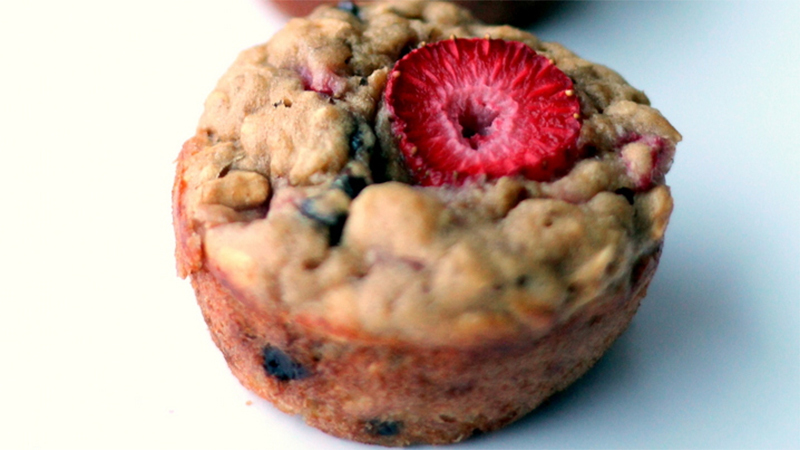 In short, a simple substitution makes this muffin a healthy choice you’ve got to try! These are excellent for a post-workout snack. Get the recipe. 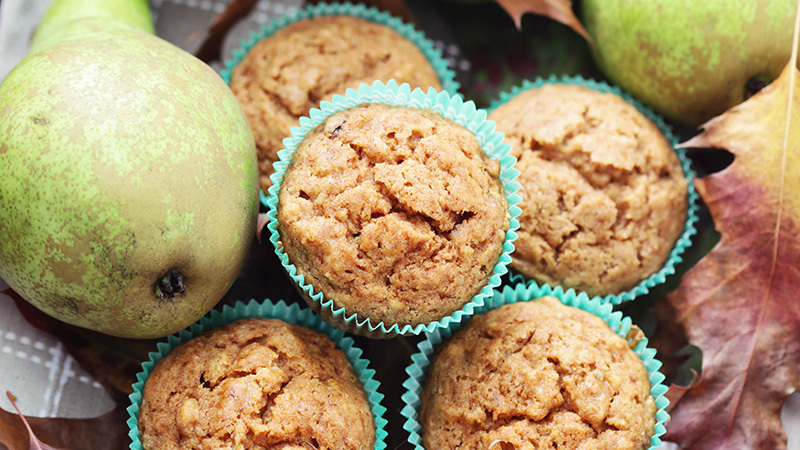 The pears in this muffin recipe are rich in pectin, which can help cut your cholesterol levels. Pears are also famously high in fibre, as long as you don’t skip out on eating that pear skin. Get the recipe. The zucchini in this recipe is well in season by now, and comes in at just 21 calories per cup. Zucchini is a great source of vitamin C, which has been attributed to shielding your body from the damaging effects of free radicals. Get the recipe.